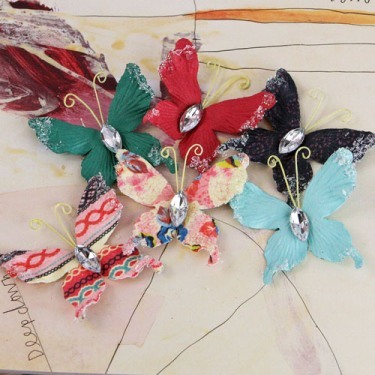 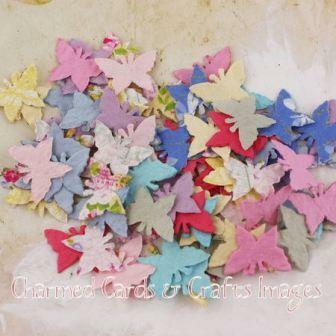 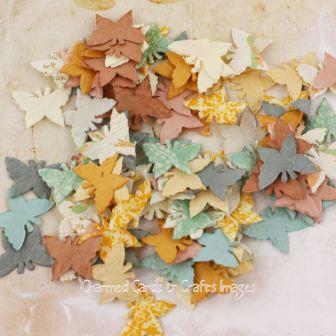 Six lovely butterflies measuring approximately 1.75" x 2". 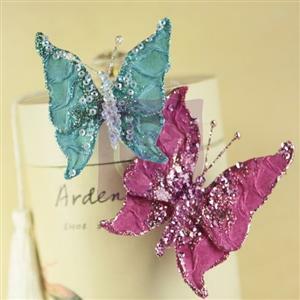 Two stunning butterflies, measuring approximately: 3" and 3.5" long. 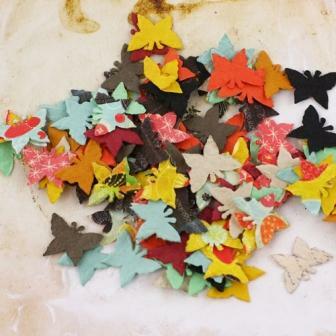 Handmade Flutter Bits. 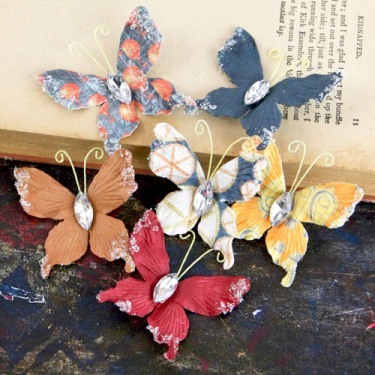 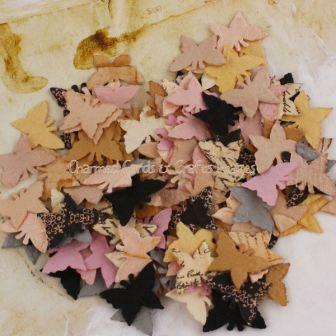 Beautiful miniature butterflies made from handmade mulberry paper printed in patterns to coordinate with this collection.